NSW Labor leader Michael Daley’s “young Asians with PhDs taking our jobs” blunder cost him dearly in the recent NSW state election. His defeat also offered a taste of the crucial role the Chinese social networking platform WeChat could play in the forthcoming federal election. After Daley’s comments were publicised, Liberal candidate and Chinese-Australian Scott Yung reportedly published articles on WeChat accusing Daley of being a “racist”. Yung says this helped him secure an 8.4% swing in the primary vote in the seat of Kogarah held by Labor candidate Chris Minns. It’s likely WeChat also played a role in Labor’s disastrous loss in the 2016 federal election, when the Liberal Party successfully harnessed the platform in the key marginal seat of Chisholm in Victoria. Focusing more attention on the platform is a smart strategy for politicians. The 2016 Census counted approximately 1.2 million people of Chinese ancestry in Australia. Around 510,000 of these voters were born in China, and 597,000 speak Mandarin in the home. A large majority of these Mandarin speakers prefer WeChat as their social media platform. Major parties at federal and state levels, as well as an increasing number of politicians at federal, state and local levels—including Clare O’Neil, Craig Laundy, David Coleman, Sam Crosby, Chris Minns, Jodi McKay and many others—have now opened WeChat accounts. Bill Shorten took questions from 500 WeChat users on WeChat Live. Hong Kong migrant Gladys Liu (Liberal) and Taiwan migrant Jennifer Yang (Labor) are using WeChat to campaign for the federal seat of Chisholm in Victoria. WeChat is not only a valuable way for mainstream politicians to reach out to Chinese Australians, it has also provided a crucial campaign platform for political candidates of Chinese heritage to garner support from Chinese communities. These, and other political players, publicise their credentials and policies by posting material on “Moments”—a WeChat feature that allows users to reach everyone within their “circle of friends”. 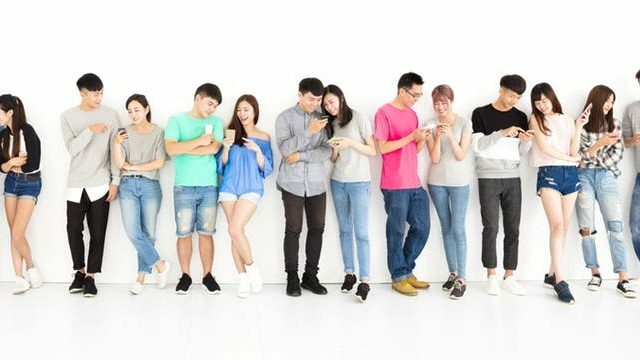 They also maintain an active, and often interactive, presence in the myriad WeChat groups—self-formed interest groups with as many as 500 Chinese-speaking members. Sam Crosby on WeChat. Screengrab. Language barriers aside, a knowledge of how WeChat works as a culture-specific platform is also crucial. A Sydney Today story provides an example of how Sam Crosby, Labor’s candidate for the seat of Reid, managed to beat his erstwhile opponent Craig Laundy in a “popularity contest” on WeChat. The story’s attention-grabbing, even sensational, headline uses words such as “secret conversation” and “exposed” to describe a routine WeChat interaction between Crosby and an individual WeChat user to attract readers. With Scott Yung poised for Liberal preselection in Reid, and even more active and better known than Crosby on WeChat, this is a seat to watch closely leading up to the election. There’s a bigger chance of us having a biosecurity breach from some bloody old Chinaman that brings in his favourite sausage down the front of his undies.